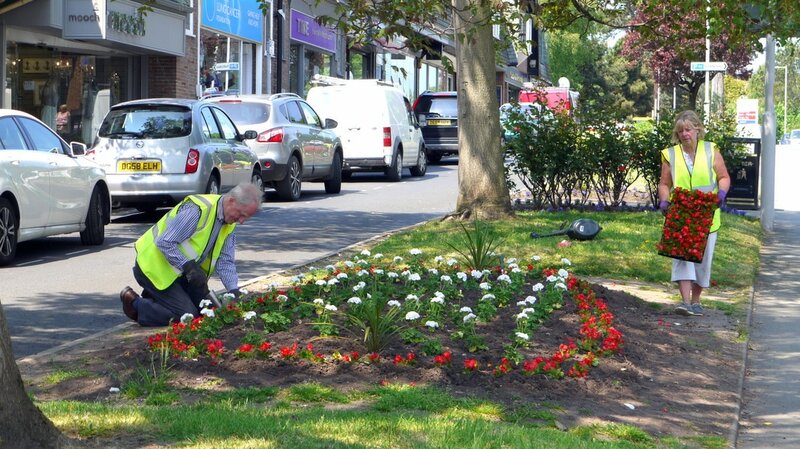 The Heswall Society has planted fresh flowers in the flower beds outside Castle Buildings in Heswall. The flowers, in red white and blue are in celebration of Queen Elizabeth II's 90th birthday celebrations. Planting on a very hot Monday was by members of the Heswall Society and was organised by Committee Member, Angie Mounsey. Claire House shop kindly provided access to water.